Whether we are guiding you around, showcasing the best of our country, or reliving your tales from earlier in the day, we guarantee you’ll feel at home when hunting with our family. Come as visitors, leave as friends. We provide a home for one of the largest privately owned trophy red deer herds in the South Pacific. Thanks to decades of carefully focused game management the quality of our Red stag is unbeatable. This is how we’ve gained considerable acclaim for producing world class trophies, with stags scoring in excess of 600SCI and 20kg of antler. A trophy this big provides our hunters with a genuine ‘larger than life’ experience – it’s an exceptional time that you’ll never forget. The adventure unravels in a setting of hills, ravines, rocky sierras, deep valleys and crystal water creeks, 2300 ft. above sea level, in the heart of the humid Pampa region. Cerro las Tunas peculiar geography demands the use of effective ambushing techniques. 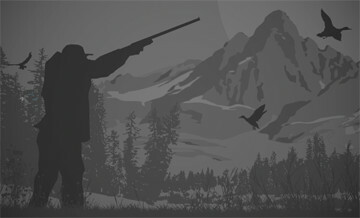 The landscape offers no shelter for the game and the hunter has nowhere to hide, resulting in long silent prying as well as long distance shooting. During the rut season, in the heart of the winter, it is cold and with an average amount of snowfall. Nevertheless, the reward for enduring such harsh terrain and adverse weather conditions is majestic: Red Stags of the highest scores, exceptional Fallow and Axis deer, Blackbuck, Himalayan Thars, Wild boars, Mouflon sheep, four horned sheep, wild goats and rams. The accommodation is in single base room. Please inquire for available dates.